Virat Kohli feels that despite the mistakes committed, his batting unit is in much better shape for this game. Image Source : BCCI A file image of Virat Kohli. 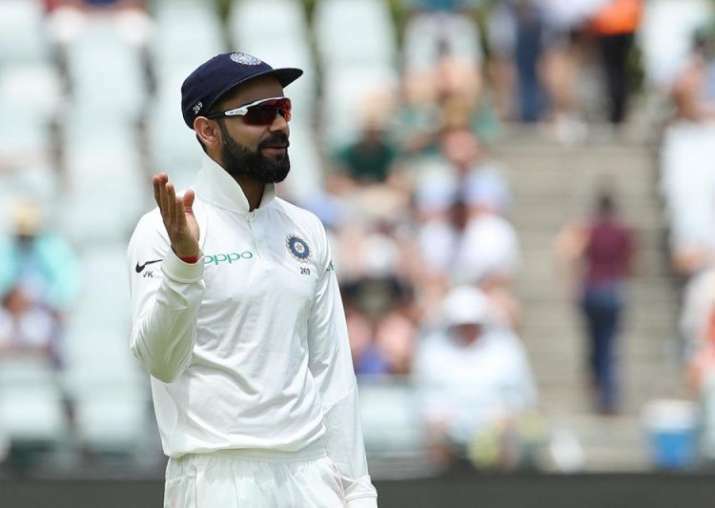 India captain Virat Kohli on Friday said there was no need to hit the panic button yet as India look to bounce back against South Africa in the second Test match of the three-match series starting in Centurion on Saturday. India suffered batting collapses in both the innings of the first Test to go down by 72 runs in Cape Town. However, the skipper feels that despite the mistakes committed, his batting unit is in much better shape for this game. "I don't think we need to panic because of collapses. Whether we are playing five batsmen or six, you still need to apply yourself. It doesn't mean that if you are playing six batters, you can afford to go out and play loose shots. You still need to have a solid technique and go out there and be ready to face spells, which are going to be difficult. We need to embrace that," Kohli said at the pre-match press conference. Meanwhile, the suspense over vice-captain Ajinkys Rahane's place in the playing XI refused to die down. Rohit Sharma was preffered over Rahane for the first Test - a decision which didn't do down well with many pundits. Kohli today took a dig at critics questioning Rahane's exclusion, stating that those who wanted his deputy's omission are now clamouring for his comeback. "It's funny how things change in a matter of weeks, or just about five days. Before the first Test no-one thought that he should be in the eleven and now suddenly people are looking at the other option," Kohli said. "For us as a team, it's all about finding the right balance. If players fit in in the kind of balance we want to go in with as a side, then they will fit in. We certainly don't go on opinions that are created outside, and talk of the town and all those sort of things. "He (Rahane) is a quality player. He has done well in South Africa, in all conditions actually away from home. He is probably been our most consistent and solid player away from home," the skipper said. 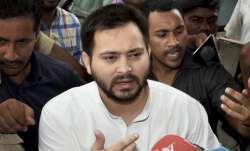 "I explained the reasons why Rohit Sharma started ahead of him. I am not saying that Ajinkya cannot or will not start in this game. Possibilities are all open at the moment and we shall decide after practice." "As far as the opening combination goes, we will decide today at the end of practice what is it that we are going to go within this game. We might do something different also but there is definitely no need to panic." The wicket promises ample pace and bounce, but doesn't have as much green grass unlike the Newlands' wicket, reckons Kohli. "It looks likely a really lively pitch. It is exactly what we expected it to be and we actually wanted it to be that way so that both teams are into the contest provided they play some good cricket. This pitch will again test us to play our best cricket and that is something that we are looking forward to do," he said. Kohli also urged his batsmen not get surprised by the bounce. "We must not get surprised by the bounce here. We have to maintain composure when you get sudden change of bounce, which you experience in South Africa. Here the bounce can be steep from length also. You need to mentally tune yourself to these things and accept that it is going to be a major part of batting in South Africa." India's slip catching has been shoddy even during their victories at home over the past year but the skipper defended his teammates. "I am not going to sit here and talk about the last one year. The last game was pretty good, apart from one dropped catch from Shikhar in the first innings, which we looked at as a team. We want to plug all those game." "What's happened in the last year does not matter. What matters is what we are going to do from tomorrow onwards to try and win this Test match," Kohli put up a brave front as he signed off.